Why Now? Why has Old Welsh Guy only now started a blog? So here it is, the new Old Welsh Guy blog that is really ‘answers by Old Welsh Guy! 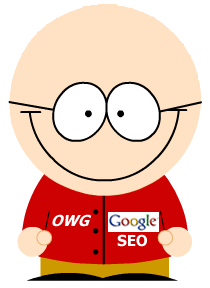 Ask away and I will answer at least one question about Web marketing and SEO daily. About damn time to. You’re a dinosaur when it comes to blogging 😉 I am sure you will do well mate, and wish you all the best. I will have one or two questions for you in the coming week! Thanks for setting up this blog, my first question is this, I’m setting up a new website, and I want generate 500 unique (non-repeat) visitors per day. I’ve chosen my keywords, written up some content, with much more to come, and I believe the site will be popular but I don’t have a mailing list of prospective users. What steps should I take to announce my website and start the traffic flowing in, and how long should I reasonably wait until I get 500 visitors per day. I’ll be a regular visitor. Carl, I have your contact question, and as soon as you set that site up, then I will answer it. But the best way to get traffic is either to drive it via quality links from on topic or related visitor sites, or buy it via adwords. just read your post at dp about updated content. i have just started my website so its not finish, still have a lot of work to do. My intentions was to change the index page every month or so, but after reading your reply at dp i am thinking otherwise. Hey OWG, I love what you’ve done with the place! I’ll be sure to submit a couple of my n00bish questions, best of luck with this project!